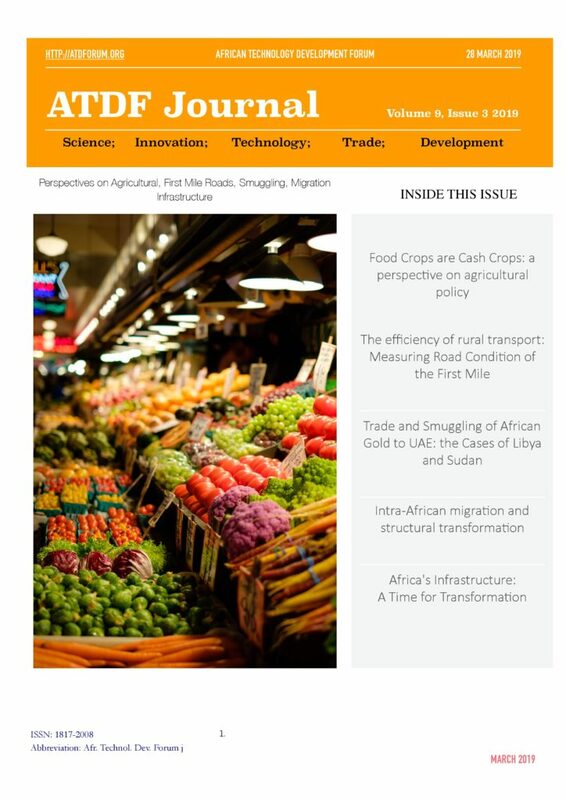 This ATDF Journal on Agriculture, infrastructure, migration and transformation explains how there has been profound changes and significant progress in many aspects of Tanzania’s rural economy providing prospects for a realistic economic response to evolving market opportunities and significant progress in living conditions. Robin Workman describes how the efficiency of rural transport is important for improving financial and time costs in the delivery of products and for reducing post-harvest losses. Many crops lose value as they are transported over rough roads and suffer time delays in getting to the market. The Journal reveals a unique examination in Africa’s gold trade. United Arab Emirates (UAE) Import data discloses the unlikely exporters gold to the UAE from the African continent. The largely overlooked phenomenon of Intra-African migration is described and how it could support the continents structural transformation.